One way of using up earth’s harvest is to combine them and have a healthy and delicious feast. This recipe is just in time for Independence. It can be had as a side dish as well as a warm salad. The beautiful thing is that most of these ingredients are readily available and are in season. The marketplace is loaded with vine ripe tomatoes, corn on the cob and of course, avocados(nature’s butter). I always try to take advantage of my freezer as much as I can. 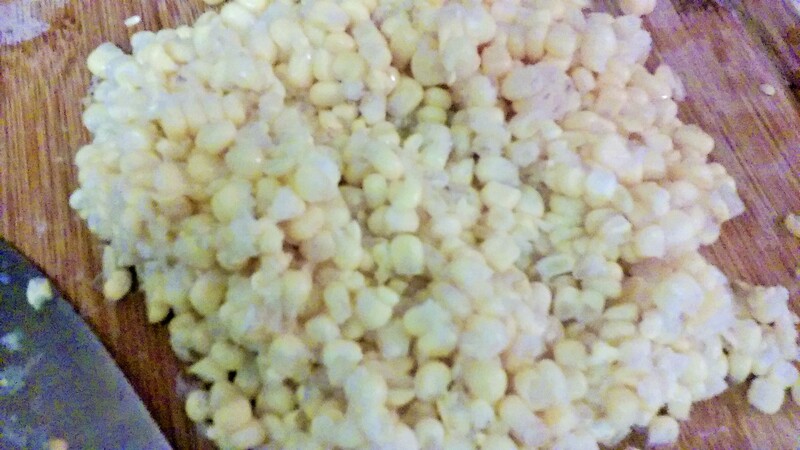 As a result, a few weeks ago I placed a couple corns on the cob in a zip lock bag in the freezer for future use. 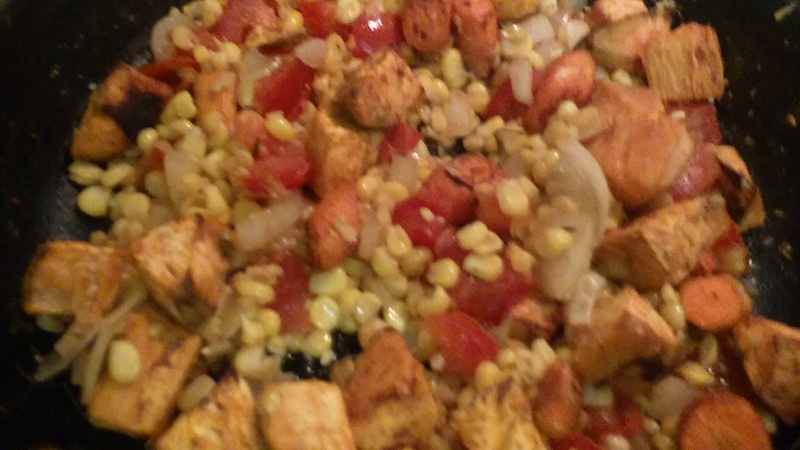 I had grilled a few for a succotash dish and boiled some in a chicken soup.Frankly, I was ‘corned’ out. It was a rather quick defrost in the microwave. Then I went to work on my cutting board and removed the ears of corn. I allowed these to dry on paper towel. 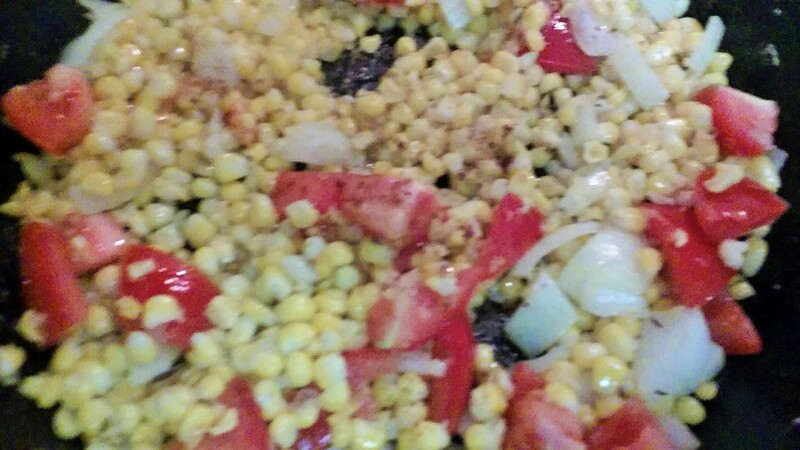 Then in a hot skillet with a drizzle of olive oil, corn was added under medium heat. I made sure to constantly stir to avoid sticking. This was seasoned with salt and black pepper. Roughly chopped onion was added along with fresh thyme. In addition, chopped tomatoes were added to mix with a half teaspoon of honey. 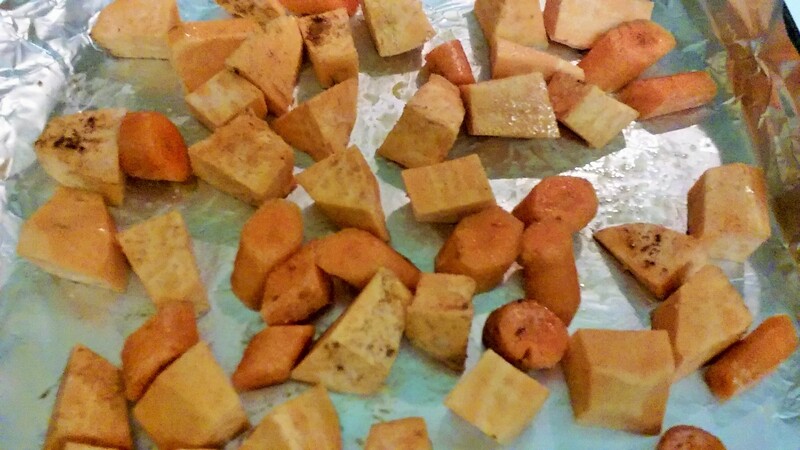 On a baking sheet, bite-sized sweet potatoes and carrots were placed with a drizzle of olive oil. To that I added a pinch of salt and cinnamon. This was roasted in oven at 380 for approximately 45 minutes turning once. 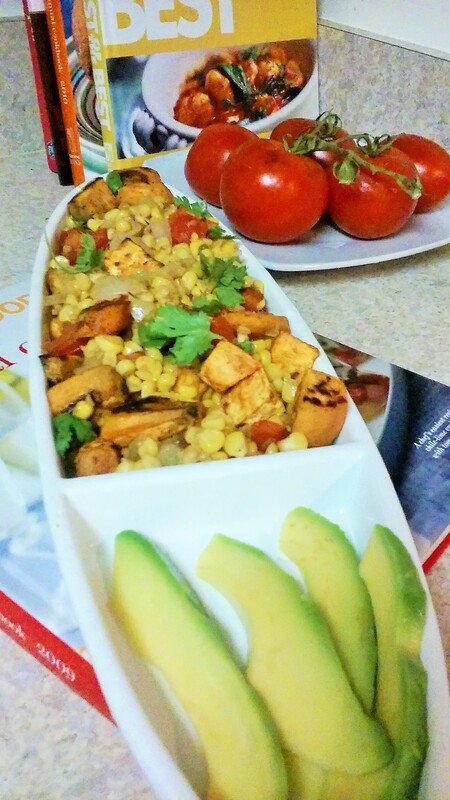 Roasted sweet potatoes and carrots were then added to pan-roasted corn, tomatoes and onions. Roasted salad was then garnished with fresh parsley with a serving of avocado on the side. 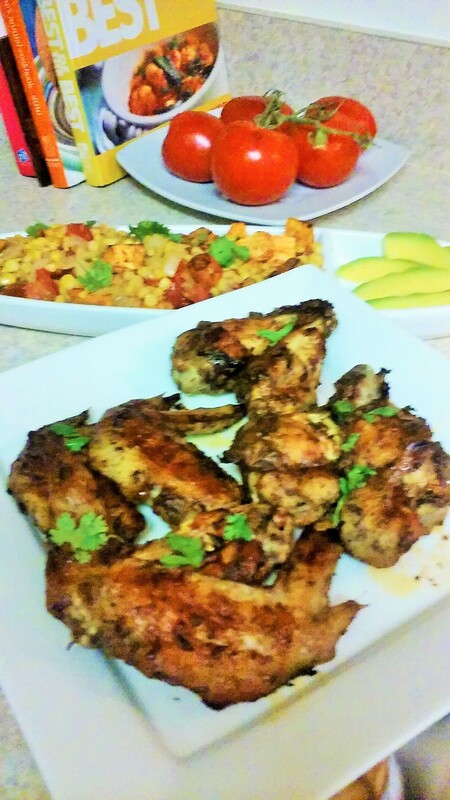 I devoured dish with a serving of roasted jerk wings. I was over the moon. That sounds fantastic- So much more exciting than your average potato salad! Hey Hannah, thanks for stopping by.And, thank you for your kind words.Have a wonderful week-end.